Food Allergy Mama Bear is now on Pinterest! 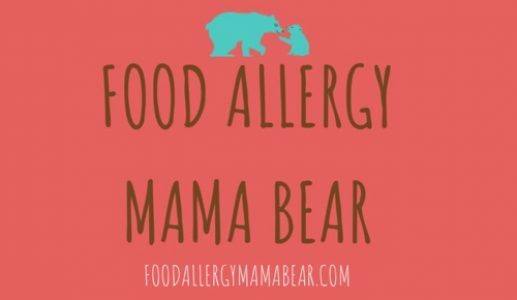 If you are on Pinterest, be sure to follow the Food Allergy Mama Bear Pinterest account for easy access to all of my recipes, and lots of other recipes, infographics, articles, and more. I have been on a gluten free diet for a little over a month. I don’t have an allergy, but my Dr. wanted my body’s gluten levels to rebalance. I realized that I don’t eat a lot of gluten. The few items I do eat I have been able to find alternatives. Plus I thankfully have a husband who is an expert on special diets. I will be on the lookout for your pins. Thank you for sharing! I am glad to hear that going gluten free is going well for you—it is so great having someone on your side that is experienced with special diets! I imagine that is so helpful!